The mobile phone recycling opportunities really are opening up in an attractive fashion these days. This is good for people and planet. 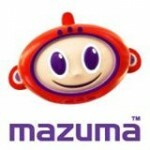 At Mazuma Mobile, we of course watch the mobile phone market expand and prosper on a daily basis. With fresh, savvy new models coming out all the time, we spend time ooing and ahhing over the latest handheld technology. Upgrading a phone contract too can be an exciting process! A free new phone and a reasonable monthly bill offering thousands of texts and hundreds of minutes can seem exceptionally tempting to us all. However, sometimes, you may love your new contract, but not the phone that comes with it. Whilst the new contract may allow you to spend a couple more hours a week gossiping away to your best friend, or the new novelty of having unlimited messages to all your friends and family, you may not feel compatible with your new phone. Perhaps you just don’t find it as easy to use as your old reliable phone, or you don’t like its appearance. It’s a tricky situation to be in. However, there is now a simple solution. At Mazuma Mobile, you could in fact recycle your new mobile phone for cash. Mobile phone recycling doesn’t necessarily mean selling old mobiles for cash. This would mean that you would receive a hefty amount of money for a model that has come free with your contract. With a simple swap of sim cards, you can experience all the benefits of your new contract on the old phone that you love, whilst receiving a nice bank balance increase.